Whoever has flown over the Vipava Valley is sure to return again and again. 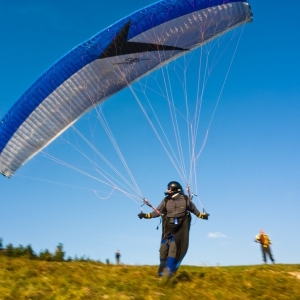 The Valley and the sloping hills surrounding it form a true paradise for paragliders and hang-gliders, while aircraft aficionados will find a warm welcome at the Ajdovščina sport airport. The Vipava Valley is even more beautiful from the air, as when you rise above the well-beaten paths, you will be taken aback by how close you are to the seaside, the Alps, and the Dolomites. Free flying is an indescribable feeling of joy. With their silken wings, gliders and fliers take to the sky like birds, choosing whatever horizon they fancy. Up there you are in harmony with nature, which is your one and only limit. The natural bounty of the Vipava Valley provides spectacular conditions for free flying all year round. And, just like the bird returns to its nest, excited fliers keep coming back to the Vipava Valley again and again and again! When your desire to explore and marvel at the beauty of the great outdoors brings you to the Vipava Valley, it won’t matter what time of year it is, as there is something amazing to discover in every season. And when you’d like to see the valley from a different perspective, just “put on your wings” and start climbing. Would you like an exciting paragliding flight in tandem? 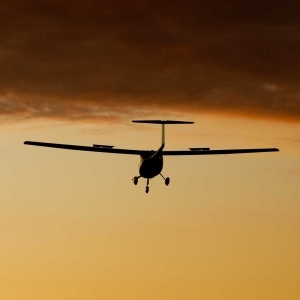 Or would you rather enjoy a more leisurely panoramic flight in a recreational aircraft? Whatever your preference, the experience will be unforgettable. Free flying in the Vipava Valley is such a normal part of life that when the weather is nice you are certain to meet someone lugging around a huge backpack with a carefully-packed parachute. Maybe they set out to the launch site on foot, or maybe they choose one of the meadows outside the official landing area. Seeing hang-gliding rigs on automobile roof racks is also an everyday experience here. The Vipava Valley offers fliers not only amazing conditions for sport, but also offers them fantastic accommodations as they seek out the ultimate thrill.